Announcement Hi folks! 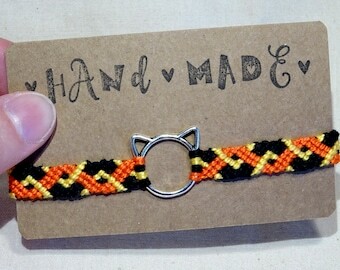 Thanks for visiting my shop, I hope you like my creations! 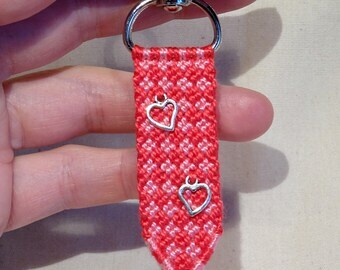 Besides bracelets, I have been working on key rings and pacifier clips lately. Remember: your order makes me do a happy dance! Hi folks! 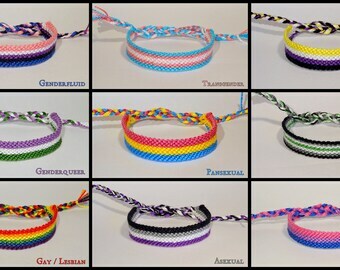 Thanks for visiting my shop, I hope you like my creations! Tablet weaving with linen and cotton. Making bracelets with the tablet weaving technique. 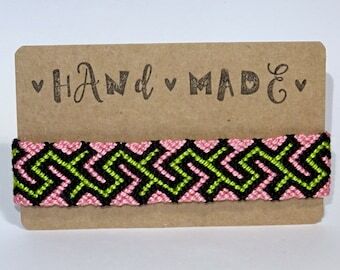 Friendship bracelets and more... all made with love! 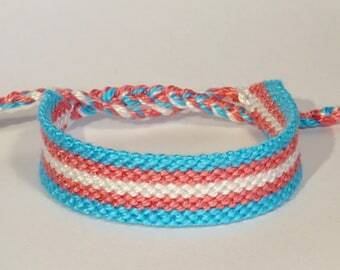 Ever since I was a teenager, one of my hobby's has been making friendship bracelets. 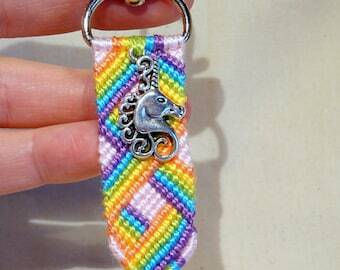 I make them in the evening while I watch TV, I make them when I'm on vacation, or just when I have to wait for something! Through the years I made over 1000 pieces and it's still not boring! The variation in colours and patterns is endless, so I expect to be continuing this for a while! 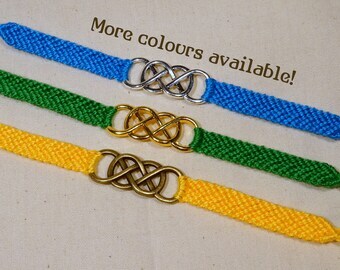 The bracelets are not only nice as a bracelet, but can also be used as a keychain, a bookmark, on a zipper of a jacket or bag, etc. 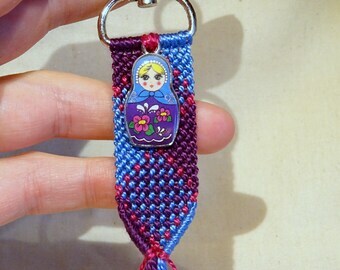 I make my bracelets with DMC Cotton Perle strings. This is high quality 100% cotton embroidery thread, very firm and the colours stay nice for a long time. When worn continuously (incl. showering, swimming), they can stay pretty for at least 2-3 months. 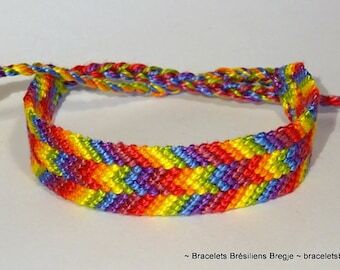 I have been making friendship bracelets for over 25 years! It's a hugh passion! My other hobbies are photography and playing folkmusic on my accordion. My mother is a very good tablet weaver and made some of the items. I learned the technique from her. 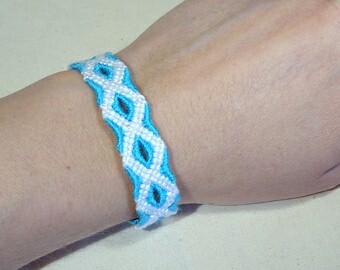 My partner helps me making the kumihimo bracelets. Stoyan is a very talented craftsman from Bulgaria. He makes jewelry (both authentic and modern) with beads that originate from Bulgaria. Also he makes folklore costumes for dance ensembles etc. Many dance groups in and outside Bulgaria are using his creations. 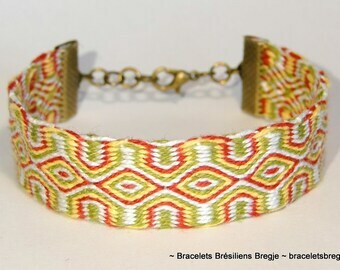 Find BraceletsBregje at the following upcoming market!